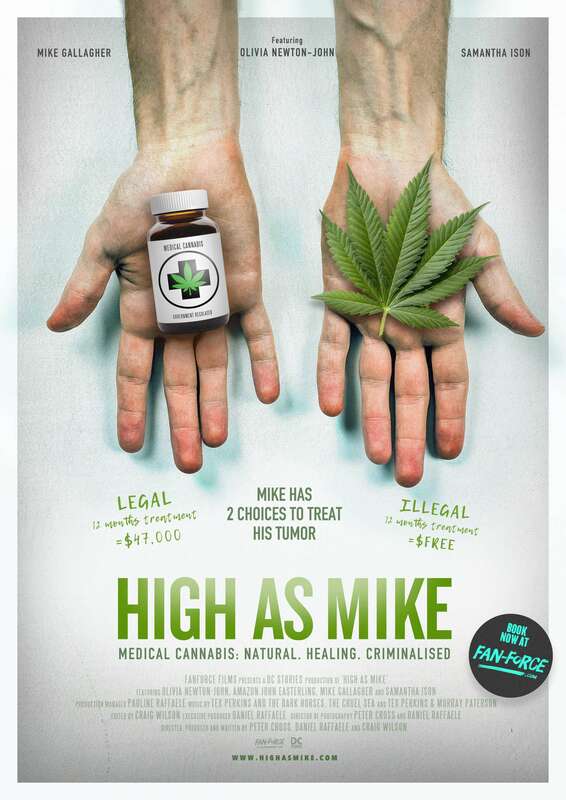 FanForce brings you this special premiere Q&A screening of High As Mike on Tuesday 21st May, 7:00 pm at Dendy Opera Quays, NSW! Make sure you arrive half an hour early because the film will start at 7:00pm sharp! And stick around after the credits for a special Q&A! Riding on a wave of realisation that a large majority of Australians are suffering and in pain, Mike is compelled to uncover the truth as he chats with patients that have already embarked on the same life changing journey. Discussions with Politicians, doctors, lawyers, licenced growers and black market operators, see Mike struggling to make sense of current rules and regulations.